Dr. Sumitava Samanta is a popular Neurologist in Ajoynagar, Kolkata. He has been a successful Neurologist for the last 18 years. He is a MBBS, MD - General Medicine, DM - Neurology . 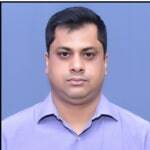 You can meet Dr. Sumitava Samanta personally at Dr Sumitava Samanta (Neurology Clinic) in Ajoynagar, Kolkata. You can book an instant appointment online with Dr. Sumitava Samanta on Lybrate.com. Lybrate.com has top trusted Neurologists from across India. You will find Neurologists with more than 26 years of experience on Lybrate.com. Find the best Neurologists online in Kolkata. View the profile of medical specialists and their reviews from other patients to make an informed decision. Kleptomania - Top Tips To Handle It Well! I have pins and needles in my feet every time I sit with my legs crossed for too long or with my elbows pressing my thigh. I had a small tingly feeling in my thumbs at once a few days back but that was only once. Should I be worried? I have a torn acl in my right knee. I'm a smoker. 29 years old. Male. Due to smoking, you are developing complication called Neuropathy, So, try to quit smoking, and torn ligament in right knee, need proper treatment. Hi, I am suffering from insomnia from past 2 year and taking tab 5 mg nexito and rivotril 0.5 tacking 1/4 part. Please suggest how it will be recovered soon. Need to fix sleep time, Avoid tea and coffee after 6 pm. Do yoga before going to bed. can have warm wate rbath at bed time. Hi Sir, My 3 years baby boy has mild autism. I have started GAPS diet last 12 to 13 days. He feel more hungry and crying maximum time. Not interested any activities and feeling more tried. Don't know the reason for his cry. What I do, am I continue the diet or stop it. Please reply any body. Thanks. If the child is very irritated you can stop it first put the child to regular schedule. A visual schedule to be precise. Work on his receptive language for a couple of days and then start cutting down his food items one by one. So if he is irritated he will be able to show his needs or his requirments with the visual chart. Also putty or other toys which help him to relax can be used. Vision splotches: It is very common among migraine patients to experience blind spots and a sudden flash of light. While this might appear to be a little unusual, it is pretty normal for migraine patients. The visual cortex of the brain is responsible for incidences like these. They often pace up and slow down to cause such unnatural feelings. For cases like this, the nerve gets activated by the optical lobe and crashes immediately resulting in such sensations. These visible auras are felt by both the eyes. A spinning sensation: A migraine patient often gets a swirling sensation. This requires them to immediately lie down. This is accompanied with nausea and throwing up. Certain migraine-induced changes caused in the brain causes hearing imbalance which is very similar to vertigo. These auras often serve as the onset of a migraine and can last for over one hour before the actual migraine cycle starts. If a person is suffering from these symptoms, it is a clear indication that he is suffering from a migraine. Light sensitivity: Migraine patients often becomes oversensitive to sound and light. This is perhaps the reason why most migraine sufferers like to spend more time in dark and solicitude. Studies have shown that sudden exposure to light activates the optic nerve fiber which in turn activates the pain receptors in the brain. A study conducted by the Nature Neuroscience journal conducted in the year 2010 showed that even blind person (with a migraine) suffers from a sudden glow of light. Touch sensitivity: Sensory auras often cause sharp pain from tiniest of touches. This is a condition known as the allodynia. This is a condition by which the spine and the brain get super excited by the inflamed blood vessels. This condition should be reported to a doctor since the most common medicine of a migraine does not work well if a patient is suffering from allodynia. Funny Face: Aura of the tongue, face and lips are known as cheiro-oral. There is a type of aura that makes even speaking and eating difficult. At time sufferers feel that they are suffering from serious diseases such as brain tumor. If this condition prevails, it makes sense to consult your doctor at the earliest and start medication. I have migraine problem since my college days. Now im 35. Its frequent now a days. And severe. Tried many medicines. The best way to avoid migraine is to avoid the precipitating factor for it which can be different for everyone so try to find out what triggers your problem stay in a calm and quite place avoid very harsh light and sound if required take a pain killer meditation can also help you a lot. I have done seizure operation on 22 April 2017. I have pain on take seizure area. What can I do for this? One year time spent. Take advice of Dr. who done lscs Bell 3c 4tims day for 10 days Mag phos 6c 3tims day for 10 days Rhus tox 12c 3tims day for 10 days Cal phos 12c 3tims day for 10 days. My brother is having brain tumor from last 3.5 years. When it diagnosed it's of 2nd stage glioma. After that 1st surgery done. In that surgery he had loose the control of right side cause tumor is on left side. Then after 1 year again it occurs and he had a second surgery in hinduja hospital mumbai. After 2nd surgery radiation of 6 weeks also took with 5 cycles of chemotherapy tablets. After a 1.5 years again it occurs and surgery is done in July 2015. Now his tumor is in 4th stage. 4 cycle of chemotherapy have took after 3rd surgery. But from MRI doctor said that the tumor is not responding to the chemotherapy tablets. It's occurring and increasing. Please suggest actual condition and treatment if there is. Hello it is unfortunate that your brother had to undergo repeated surgeries, but from the information you have given it appears that he has been treated properly as per the standard guidelines for these kind of tumors. Now I guess it is grade 4 not 4th stage of the tumor and grading not staging is used for these kind of brain tumor. Treatment now is difficult and depends on the neurological and general condition of the patient, findings on mri scan like location and extent of the tumor and expectations of the patient and relatives from the treatment etc. You have to understand that these tumors are difficult to cure completely and all we can do is to give best available treatment and care. Thank you. My father is suffering from vascular dementia how long will it take to recover his memory. Hi I am 30 years old female. Since last two years I m suffering from sinus/ persistant tachycardia. After that hypothyroid was diagnosed and now frm jan 15 it is changed to hyper thyroid reports are t3normal, t4 27 and tsh is below 0.01. Besides that I am having insomina, angina etc my medications are going on n medicines are antithyrox10, ciplar40, sove it12.5, clonav0.5, thank you. Tachycardia is a sign of hyperthyroidism. Possibly you had hyperthyroidism from begining. Conti your medicine.